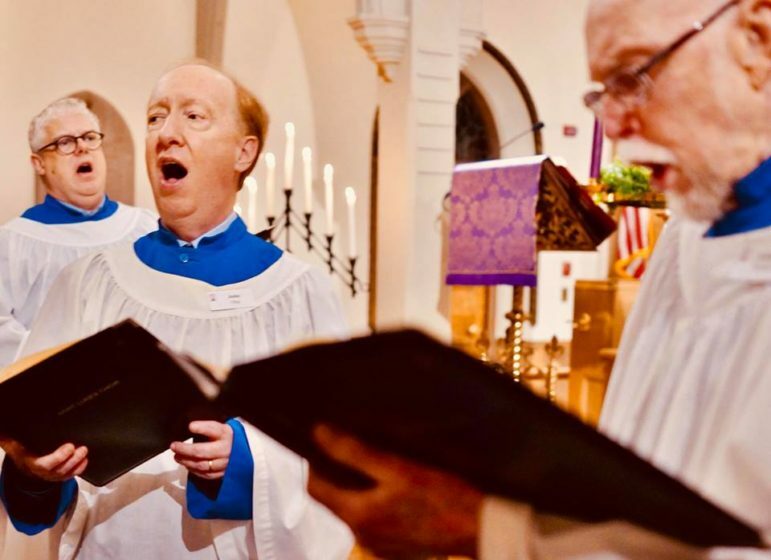 The gentlemen of the Saint Luke’s Parish Choir, Darien, will sing a service of Choral Evensong on Saturday, Feb. 3 at 5 p.m.at Saint Luke’s Parish in Darien. 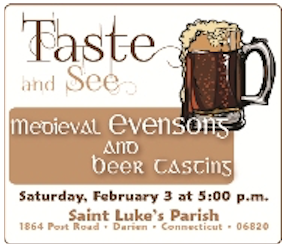 Following the service there will be a tasting of hand-crafted Trappist beers from St. Joseph’s Abbey in Spencer, Mass. The event is free and open to the public. For the monks of St. Joseph’s, the release of their beer marks both the culmination of years of hard work, and an exciting new chapter in the 189-year-old story of their Trappist abbey. The men of the choir will perform ancient Gregorian chant of the medieval church. Evensong, one of the great liturgical legacies of Henry VIII and most cherished of Anglican services, has its origins in the ancient monastic (and before then, Jewish), tradition of marking the day with specific times of prayer. When the Church of England severed its Roman ties, Archbishop Thomas Cranmer (1489 to 1556) condensed several traditional monastic services into Morning Prayer and Evening Prayer, called Matins and Evensong when sung.